The only x’s crossed this week were on my TTE2 piece, it went to the post office yesterday, so I’ll just have to wait while it makes it’s long journey to it’s new home. Yes, I remembered to take pictures this time! Sunday was not a stitching day for me – we had a church rummage sale the day before, and I took the afternoon to catch up on my sleep, and then I was groggy from a too-long nap. Hate that. But I did stitch – crochet! 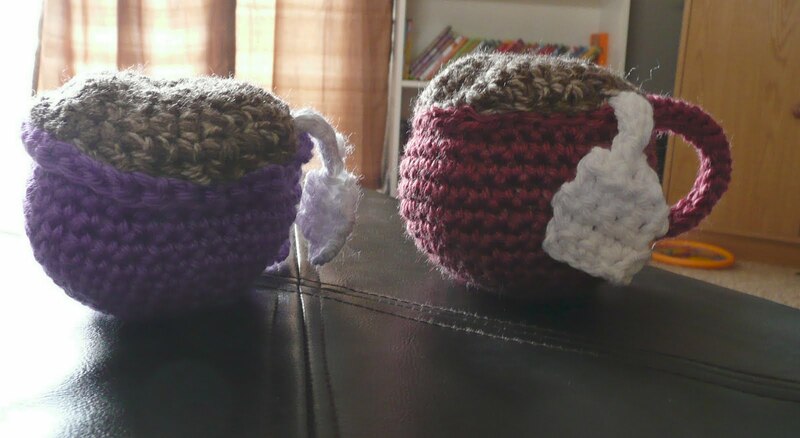 I made teacups for the girls like the pincushion I sent Pixie a couple of months ago – they’ve been begging me for them, so when I finished the TTE2 piece I whipped these up. They’re really not hard to make, I just hate sewing things together. Katie wanted purple, Hallie wanted the rose color. Then I started my second thread crochet bowl – and managed to finish the “feet” last night. This is my first attempt at joining circles, and I’m really happy with it! I’ll probably start on the sides this afternoon. My aunt and uncle are in town for a graduation, so they’ll be with us for the rest of the weekend. I’ve spent the morning vacuuming and washing and trying to declutter a little. Then no rest for me because after they leave – HUBBY COMES HOME!!! Oooh those are some nice work!! 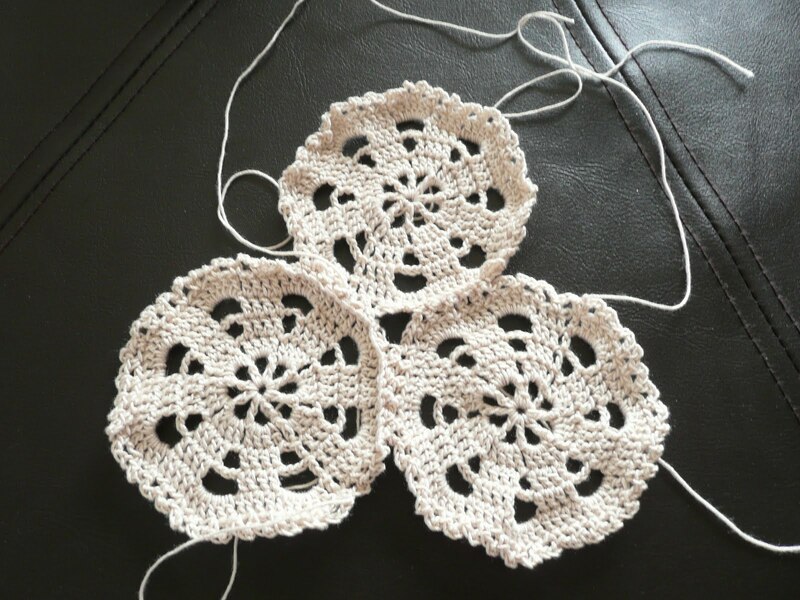 It's been a long time since I did crochete, but when I see this I would like to try it again. Your crochet looks fantastic, I love them! Love the teacups ~ your girls must've been thrilled! So happy for you that DH will be home, enjoy it!